Living paycheck-to-paycheck is common, but it’s not an enjoyable way to manage your finances. Having to wait until the next time you get paid to cover an expense only to spend every dime you take in the following month is no way to budget. Living this way can seem like you’re one small step away from missing your car payment or not being able to pay for groceries. It can be stressful to feel like you don’t have enough. This is why it’s key to focus on breaking the vicious paycheck-to-paycheck cycle. Here’s how you can do it. 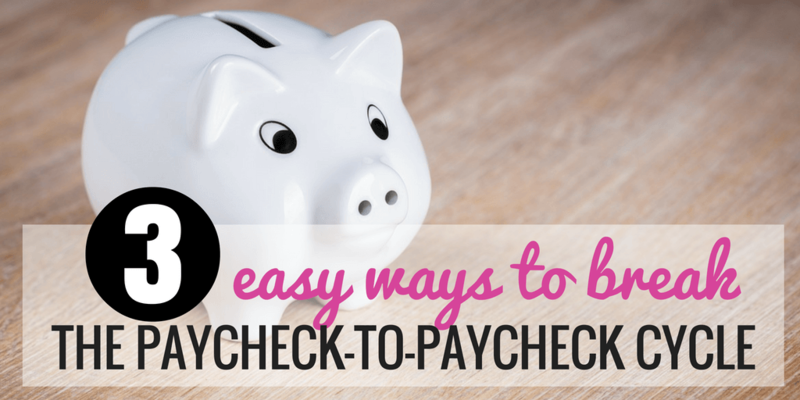 In order to break the paycheck-to-paycheck cycle, you need to find a way to save more money. One of the easiest ways to do this is to trim the fat from your budget to lower your spending. It’s important to strive to live below your means at all times but if you’re trying to save more, it’s a must. Focus on reducing or cutting your monthly fixed and variable expenses even if it’s only temporary. When I was trying to stop living paycheck-to-paycheck, I focused on cutting out expenses like buy lunch at work, my gym membership (even though I recently signed up again), and my cell phone bill by switching to a more affordable provider. Once you trim the fat from your budget, set up automatic transfers from your checking account to your savings account so you can make sure the savings you generate are actually being set aside. Set a goal to start living on the previous month's’ income. For example, if it’s December, you’re living on the income you earned in November. To do this, you need to have at least one month of living expenses saved up to start the transition. Calculate how much you need to save each month to reach your goal, and don’t be afraid to start slow. For example, if your monthly expenses are $2,000 and you want to stop living paycheck-to-paycheck in one year, you’ll need to set aside around $166 per month but you can always start by making smaller contributions if it’s easier for you to do. If you receive bonuses at work or any lump sum payments throughout the year like a tax refund, you can use that money to add to your savings fund. Lastly, you may need to boost your income to accelerate your savings rate. Getting a side hustle sounds difficult at first, but there are so many things you can do to earn money depending on your interests. Plus, you don’t have to side hustle forever if you’re just doing it to reach a short-term goal. You can mow lawns, babysit, get a part-time job, freelance, do customer service work, wait tables or anything that helps boost your bottom line. Put all your extra earnings in your savings account until your balance is enough to cover at least one month of living expenses. In order to stop living paycheck-to-paycheck, you need to start saving more. I know this can seem hard to do especially if you feel like you’re barely able to make ends meet in the first place. However, when you focus on your goal and take action, you’ll be more likely to succeed. Stay committed and focus on cutting the expenses that you can manage to let go and start earning more to accelerate your savings rate. 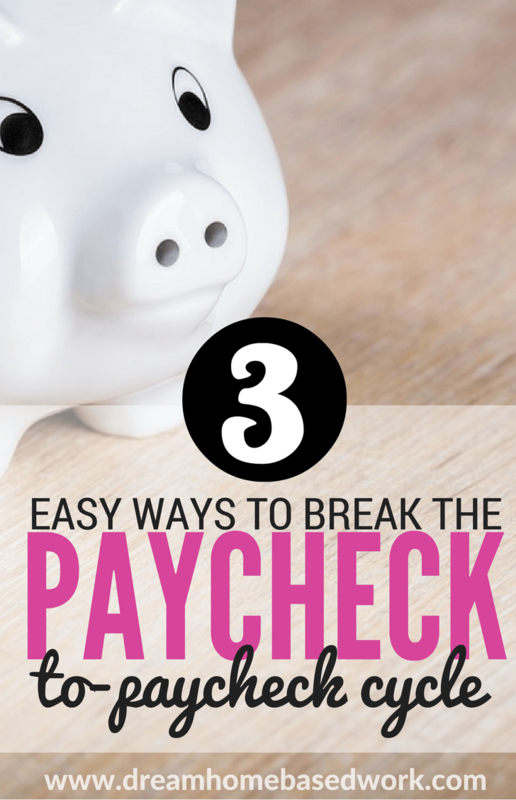 Have you been able to break the paycheck-to-paycheck cycle yet?